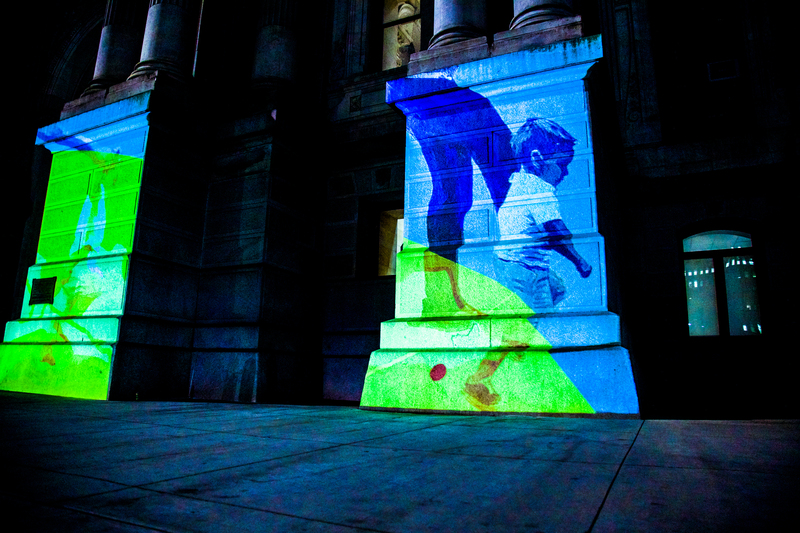 Tonight is the last night to see Philly-based artist and activist Michelle Angela Ortiz‘s Seguimos Caminando (We Keep Walking), a projection tribute to the undocumented mothers and children detained at the Berks Detention Center, a prison outside of Philadelphia for immigrant families. 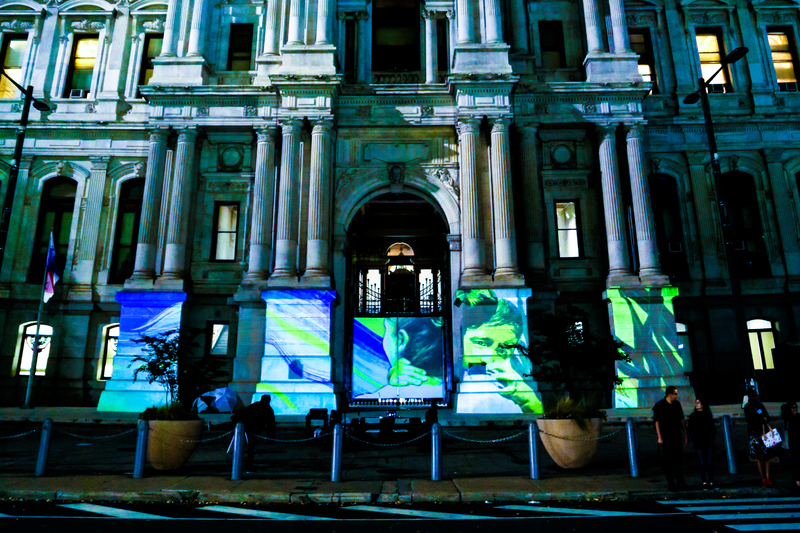 To create her monument, Michelle worked with the Shut Down Berks Coalition and the mothers detained at Berks. The animated images in her moving monument originate from compiled writings from two mothers sharing their stories while detained at Berks. 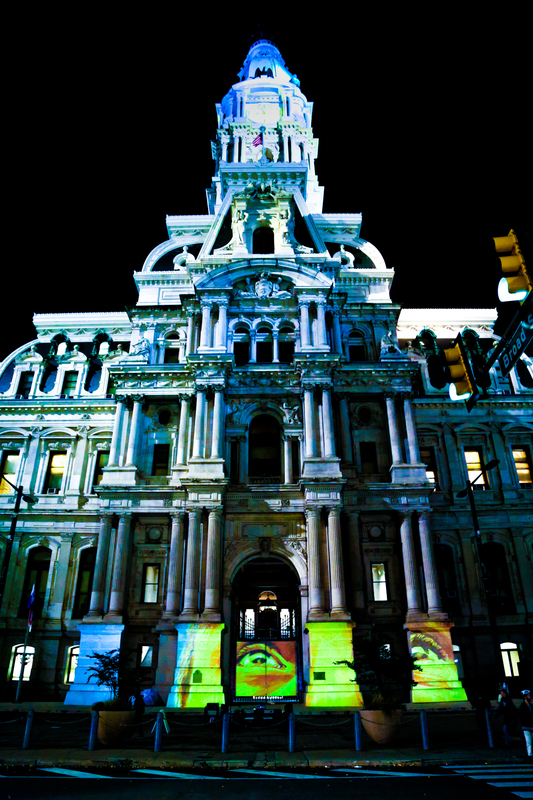 Go check it out for yourself at its last viewing tonight, Saturday (11/4) on the north apron of City Hall from 8-10pm! 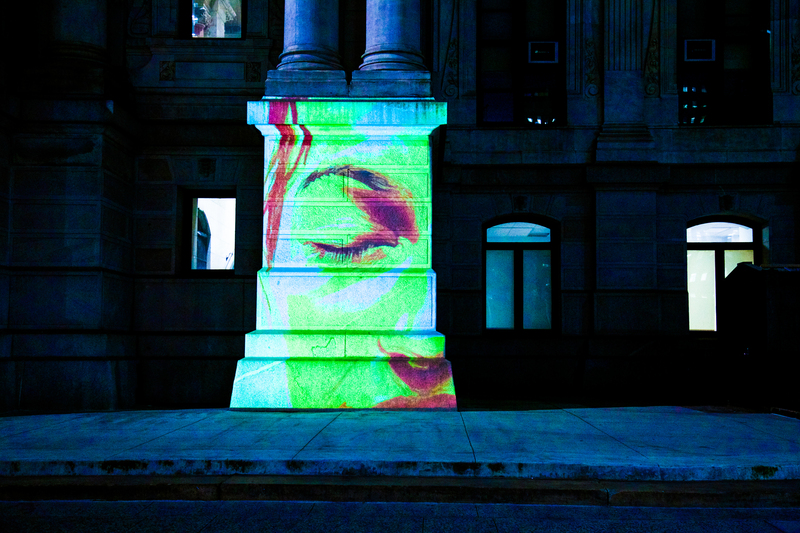 Learn about other Monument Lab prototype monuments around Philadelphia right now by Tyree Guyton in Kensington, RAIR (Recycled Artist in Residency) in Fishtown, Klip Collective in South Philly, and Hank Willis Thomas in Center City… See a full list here!